So just a final bit of leftover fun from last week’s Star Wars Half Marathon. After clicking on the RunDisney website I discovered that I’m “certifiable”… as in I have certificates. And some other goodies. And now my inner elementary student wants to run up to mom and give her my participation certificate to proudly post on the fridge (next to that “hand turkey” I did in November). And kudos to Disney as they gave you a trifecta of certificate designs to choose from. Naturally, I picked all three. The force was okay with this one. Red Five standing by to run. And finally I’ve got just a few MarathonFoto photos. I picked an Instagram filter that prints the words “copyright” and “Proof” on top of the pictures so they appear genuine. My thumb’s tired. Can we start. At least the lines in Cars’ land are short this time of the morning. Wheel in the background keeps on turning. Do you like my giant hat in the background. Why yes, I do like to run. Have a good weekend and if you see an ewok… trip ’em. 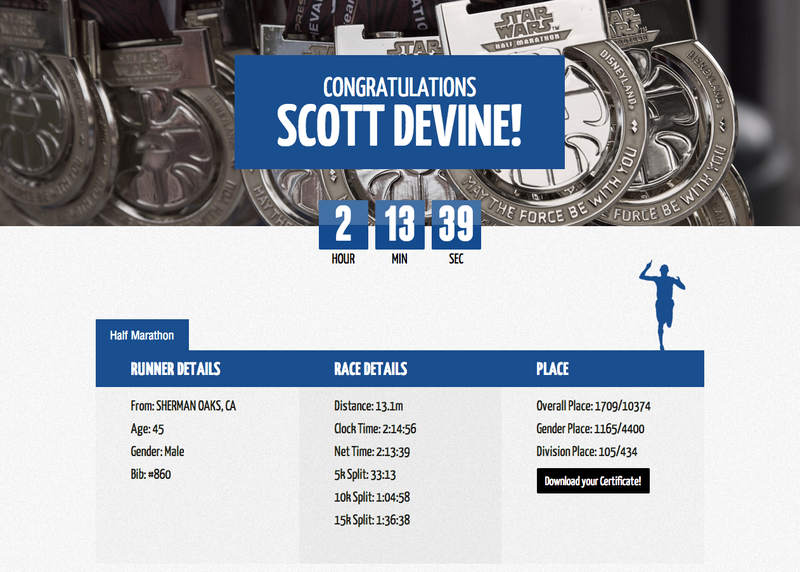 Posted on January 24, 2015, in General and tagged Participant Certificate, Star Wars Half Marathon. Bookmark the permalink. Comments Off on CERTIFIABLE… AND HERE’S THE “PROOF”.